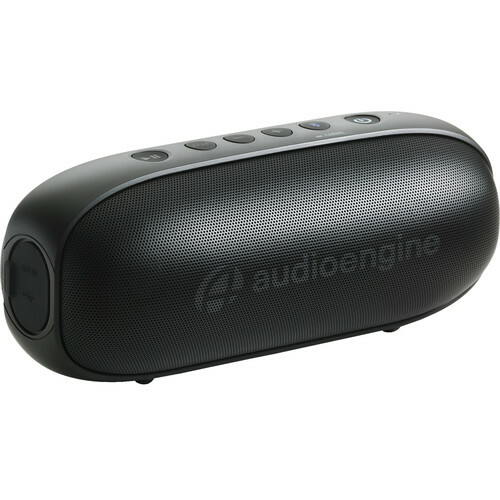 Play your audio in any room, or anyplace, with the 512 Portable Bluetooth Speaker from Audioengine. This speaker utilizes Bluetooth 5.0 technology to playback music that's wirelessly streamed from your mobile devices, such as a smartphone or tablet. Thanks to its compact size, you can place it around your home, or throw it in a bag and bring it to a party. Inside, 2" woofers and a 3" x 1.75" passive radiator delivers 20W of audio power. Box Dimensions (LxWxH) 9.9 x 4.7 x 4.6"